Carton Wood in Maynooth may be a relatively new development, but buyers have been sampling a history spanning eight centuries due to the scheme's proximity to the Carton House estate, the ancestral seat of the Earls of Kildare and Dukes of Leinster. Since its launch in November 2017, 138 properties have been sold at Carton Wood, which is just off Carton Avenue. The final release of the scheme goes on the market this weekend. There are 13 houses for sale in the last tranche, including the two showhouses and their contents. 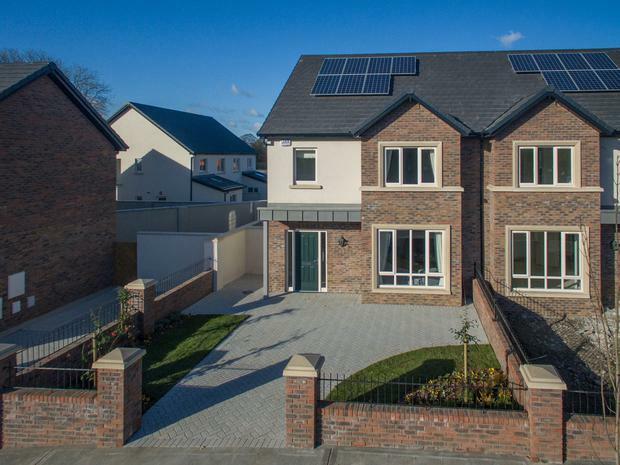 Prices start at €445,000 for a 1,454-sq ft four-bed semi-detached home, at €467,500 for a four-bed semi measuring 1,446 sq ft, and at €545,000 for the largest style of four-bed semi, the F type, which has 1,878 sq ft of accommodation. A five-bed, 2,002-sq ft detached style is priced from €555,000. The timber-framed homes are finished in a mix of brick and self-coloured render, with sandstone to the window surrounds. Carton Wood is 800m from Maynooth and 3km from the M4. There is a rail service to Dublin. Viewings tomorrow and Sunday, 2pm to 4pm.